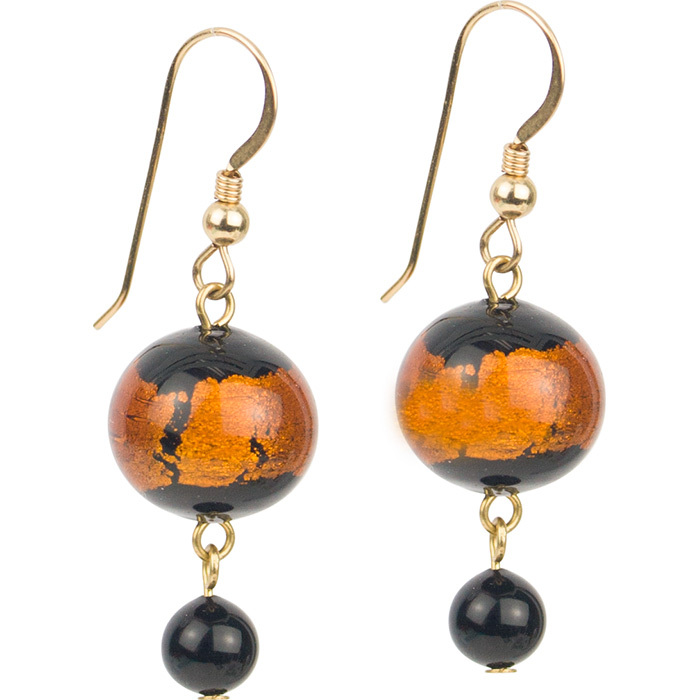 These topaz and black Murano Glass Earrings will be at home in the office or at a party. The size is approximately 1 3/4 Inches with Gold Fill Ear Wires. 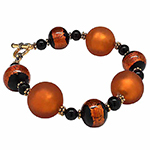 The beads are made in Murano Italy and the earrings assembled here in our laboratory.